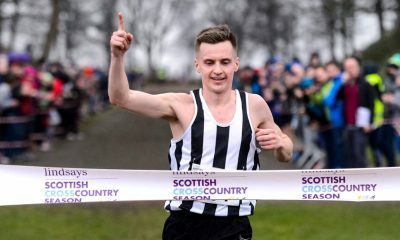 This year, 24-year-old Mitchell broke both the Northern Ireland 5000m and 10,000m records, set a number of personal bests and claimed two Irish national titles over 1500m and 5,000m. It started in the month of May, with a 3000m personal best, which was quickly followed by a 5000m third-place finish behind Louise Small and Katrina Wootton, at the British Milers’ Club Grand Prix in Solihull. The QUB AC athlete clocked 15:50.55 that night for another PB and most impressively it took almost three seconds off Teresa Duffy’s 1996 Northern Irish record. Next up for Mitchell was her first ever 10,000m on the track at the well renowned ‘Night of the 10,000m PB’s’. Mitchell would clock 32:51.78 smashing another of Duffy’s Northern Ireland records, this time by 42 seconds. 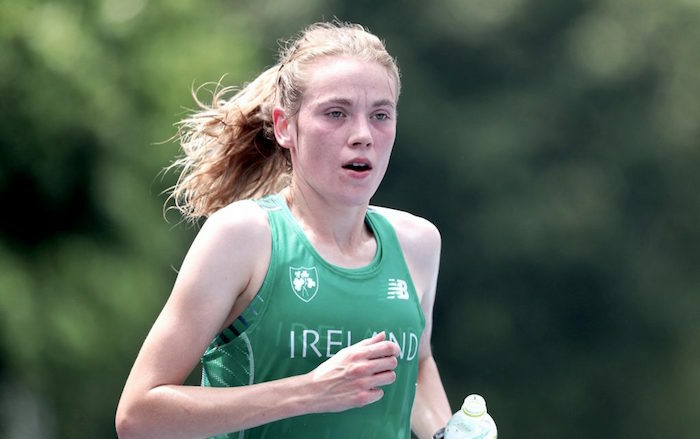 Mitchell continued her impressive year winning her first…and then a second Irish national title, over 5000m and 1500m respectively. “It was a great weekend, not fast times but good tactical races and it’s nice to finally win national titles after finishing third over 3000m indoor,” she says reflecting back to the Irish Track and Field Championships in July. 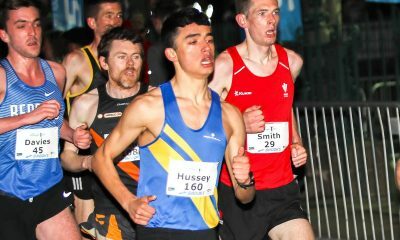 The World University Games in Taipei took centre stage in August, with the Queen’s University Belfast student and athlete finishing ninth in the 10,000m, before a seventh-place finish over 5000m. “It was great to experience a competition like that, a first for me, and I learnt so much, I really did, and I will take that all forward with me,” says Mitchell. “But while it was a good experience, I am not an athlete who aims solely to go to championships for the experience. 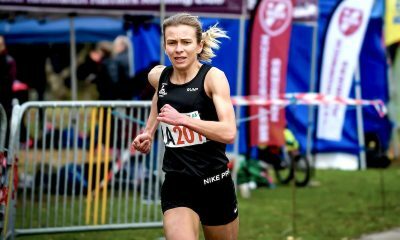 The Banbridge native credits her record-breaking year to solid progressive development in 2016 after an injury kept her out from running for six months. “I was an under-23 at the European Cross Country in France at the end of 2015 and picked up an injury off the back of that. While injured I spent a lot of time aqua jogging and in the gym and it was June 2016 before I could start running again,” she explains. “However, once I got back running I found the cross-training had given me a strong foundation to build my running base on – it all played a massive part in running some track PB’s at the end of that year. At the start of this year, we decided to give cross country a miss and just train for a solid four months geared towards running some fast times indoors. “In terms of what made the difference this year, it was just that solid block of training. There was no secret, it was just getting the head down, training and working hard. There hasn’t been any massive change to what I have been doing in previous years, but just that consistency,” she explains. A cross country season was a regular fixture for Mitchell from a junior and right up to late 2015, but after the success of last year by solely focusing on training over the winter months, she doesn’t plan to reintroduce another cross county season into her schedule anytime soon. “I do like cross country but I just don’t feel, and Eamonn would agree, that it fits in with the plans right now. The Commonwealth Games are in April 2018, which is early for track and seeing the difference that just training from September to December has made this season, that’s my intention again this year. Mitchell now looks towards the Commonwealth Games in Australia’s Gold Coast next year. The Northern Ireland nominations have been made, but it will be a couple of months before the team is officially confirmed. However, following her performances this year, questions would be asked if she wasn’t selected for the 10,000m. “What I have accomplished this year…if that doesn’t warrant a place in the team I don’t know what does. But Eamonn and I are preparing as if I am, I think you have to prepare that way. Also on our radar is the European Championships in August, that’s another big goal,” says the double track Northern Irish record holder. “Where I am right now in my development, I have to look at the fact that in my first race over 25 laps [10,000m] I ran the Commonwealth standard and a Northern Irish record and that was fantastic. And in the last couple of months I’ve felt capable of running 30 seconds faster, but unfortunately, we ran out of time to find the ‘right race’ before the track season ended. “With the Commonwealth Games in April next year, that’s just more time I have to get fitter and stronger, there is still a lot of things I can do better and I am excited to see how quick I can run come spring,” Mitchell says. 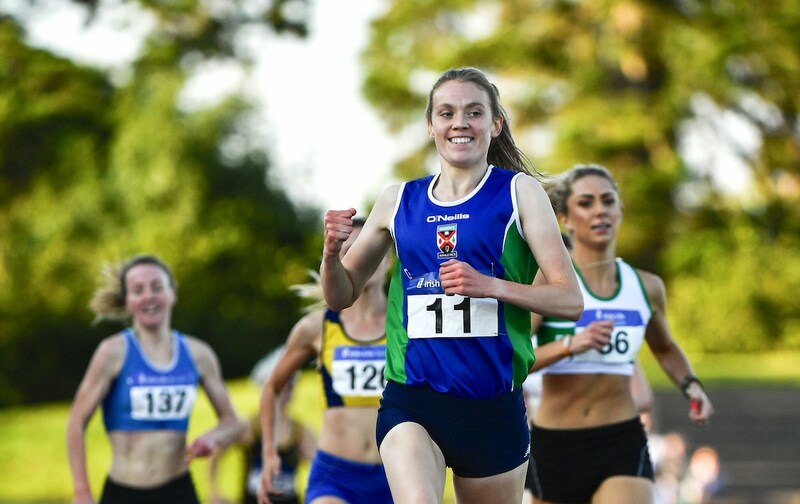 She has also enjoyed some recent success on the road; finishing second at this year’s Northern Ireland 5K Road Championships, and as part of the QUB AC relay team won both the Irish and Northern Irish titles. In the latter, breaking another record over the final leg. However, for the next few years her focus is on the track, but beyond that, a future on the road is a strong possibility once Mitchell has given the track all she can.